Gold prospectors and local people have very different views about the extent of muddiness and its impact on nature. Lemmenjoki National Park, the largest national park of Finland, is situated in Lapland, in the municipalities of Inari and Kittilä. Gold has been prospected in the area of the present Lemmenjoki National Park since 1872. At present, there are 25 mining patents and approximately 30 claims or licences for pick-and-shovel prospectors and gold panners in Lemmenjoki. Approximately a hundred people engage in gold prospecting in the area in summer. Pursuant to law, prospecting with the help of machines stops in 2020. The quality of the water in the River Lemmenjoki, a river that runs through the largest national park in Finland, has made headlines this summer, just like it does every summer. The river valley is a popular hiking attraction that is advertised for nature tourists as a pure natural environment with an exciting history of gold prospecting. But the golden river valley has its challenges. 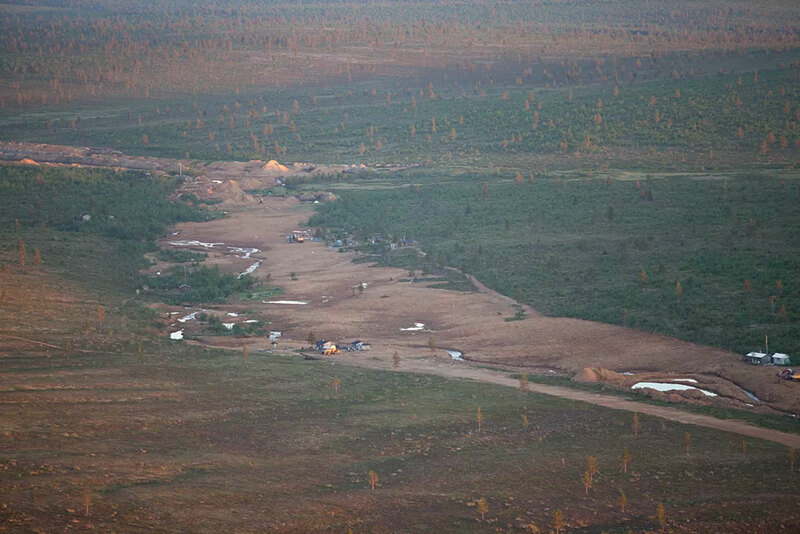 In mid-August, the Gold Prospectors Association of Finnish Lapland announced that two pumps had broken down in the gold prospecting area of the Lemmenjoki National Park. As a result, muddy water had ended up in the main channel of the River Lemmenjoki. In rainy summers, most gold prospectors use pumps to pump water to their surface filter beds. Does muddiness have adverse effects on the environment? At the moment, there is no agreement on whether the escape of water from the prospecting area has a negative effect on the wild river. According to Lapland’s Centre for Economic Development, Transport and the Environment (the ELY Centre), extended muddiness may cause incidents of fish death. The river bed may also silt up, and the silt may then suffocate the fish eggs, resulting in spawn failure. Silting up may also cause damage to vulnerable bottom organisms. However, geologist Antti Peronius from the Gold Prospectors Association of Finnish Lapland emphasizes that the water that has run off into the River Lemmenjoki only contains soil – not chemicals or other toxic substances. He does not believe that the muddy water will cause any greater damage to the natural environment. «It has a short-term impact. We’re talking about a water pulse that contains soil. The spill lasted for 24 hours or slightly longer, and this pulse will dilute on its own. Such a brief pulse will probably have no impact on the bottom organisms or the fish,» Peronius says. Eira Luokkanen, the head of environmental protection at Lapland’s Centre for Economic Development, Transport and the Environment partially agrees with Antti Peronius. Muddy water should not cause damage to the fish population as long as it does not contain very dangerous substances. «We will take water samples and look at the results. For example, we will analyze whether the water contains substances that can be harmful, but, at this point, there should be no greater risk,» Luokkanen assesses. The pump breakdown occurred a while ago, but has the water been muddy all summer? According to the gold prospectors, the pumps broke down in mid-August. Local people wonder about this. They have been monitoring the condition of the river water all summer, and tell that the water has been muddy for much longer. «The water has been in a really bad condition all summer. Of course, it rained a lot in early summer, but, lately, we haven’t had any rain that would boost muddiness,» says reindeer herder and entrepreneur – and the Vice-Chair of the Finnish Sámi Parliament – Heikki Paltto from Lemmenjoki. Antti Peronius, the geologist of the Gold Prospectors Association, questions Paltto’s observations. Eira Luokkanen from Lapland’s ELY Centre confirms that the office received the first note about the water of the River Lemmenjoki being muddy as early as mid-July. They have also got new reports about the state of the water after that. In addition, we have taken water samples in the area. According to Luokkanen, the ELY Centre expects the prospector who is responsible for the pump breakdown to take measures by a certain date. The aim is to prevent water more effectively from running into the dug areas. «At this point, the prospector in question is not permitted to continue prospecting until the pump capacity is big enough to deal with this kind of difficult situations. Furthermore, there must be enough pumps in the area,» Luokkanen adds. 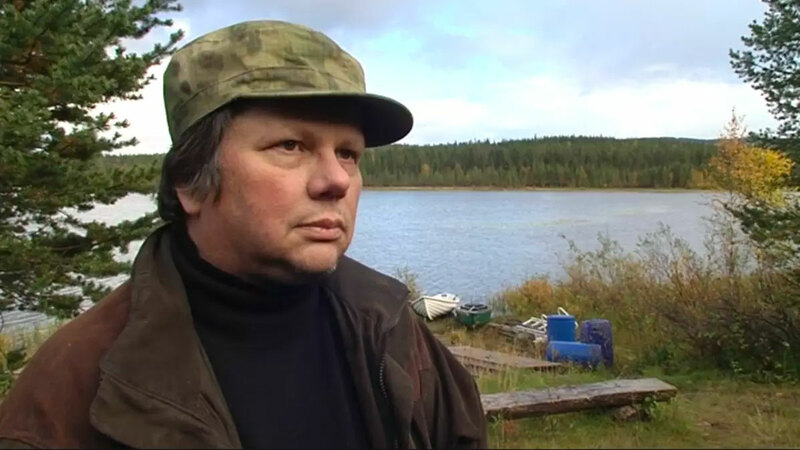 According to Heikki Paltto from Lemmenjoki, those prospecting for gold with machines have already ruined the river. There is no sense in trying to fish. Heikki Paltto suspects that the situation is a result of weak environmental regulations. Thus, he wishes that the ELY Centre would monitor the situation better. «They should be able to really control the situation. 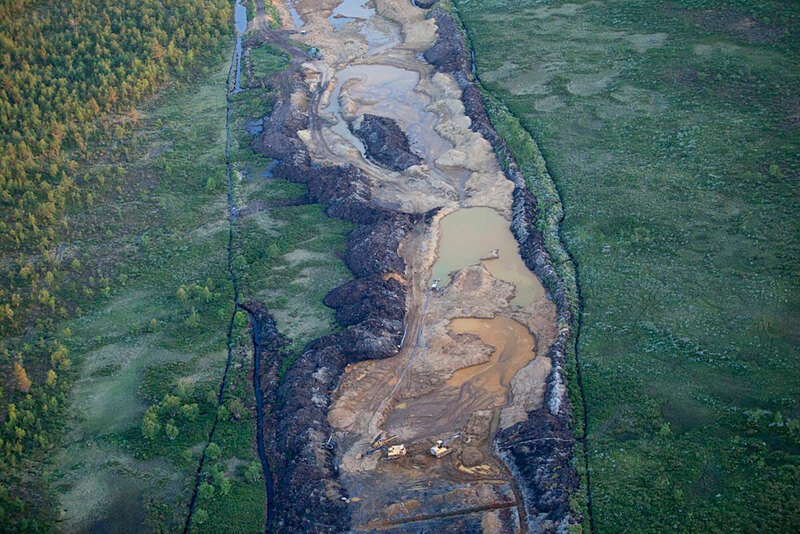 Because of weak environmental regulations, the river can be polluted,» Paltto reflects. Eira Luokkanen, the head of environmental protection at the Lapland ELY Centre admits that the situation is a violation of the Environmental Protection Act, as muddy water should not reach the River Lemmenjoki. The ELY Centre is presently doing everything it can. «But we must remember that, in this area, gold is not always prospected as the valid licences would require,» Luokkanen explains. The pumps broke down in the same area from which muddy water run off into the River Lemmenjoki last year, too. Antti Peronius tells that, from the 1990s on, the prospector in question has treated the water by using a surface filter method, in which the water is pumped into a filter bed and cleared by the soil. However, such old methods have not been effective enough in rainy summers. According to Lapland’s ELY Centre, unexpected situations should not, however, justify damage. «In this kind of situation and area, one must take rain into account. Even in rainy years, activities must be adjusted so that there are no unnecessary environmental loads. In this case, precautionary measures have not been satisfactory,» Eira Luokkanen says. Lapland’s ELY Centre intensified its monitoring of water in Lemmenjoki in the summer of 2011. The report on this monitoring that concerned machine-assisted gold prospecting found that the load of machine-assisted prospecting is clearly visible right below the prospecting areas. Compared with water in a natural state, this water contains many times greater concentrations of metal, solid matter and nutrients. The water is also muddier, though the overall water quality has improved since the previous monitoring period, which took place in 2006–09. According to the Mining Act that came effective in 2011 gold prospecting with machines comes to an end in Lemmenjoki in 2020. The report of the ELY Centre partly understands that the prospectors using machines in the area try to pan for gold as efficiently as possible in the transition period of eight years in order to get their money’s worth. «Prospectors don’t want to invest» – Who takes responsibility? According to geologist Antti Peronius, the Gold Prospectors Association of Finnish Lapland has ideas on how to improve prospecting operations. But he continues that since prospecting with machines will stop in a few years, prospectors don’t want to invest in order to be prepared for similar situations. «Motivation plays a role, but this is also a financial question. Big investments will not pay back in just a few years. And prospectors don’t know how to make sure that the situation will not occur again,» Peronius continues. Heikki Paltto from Lemmenjoki demands that someone assume responsibility. However, in this situation, no-one seems to be willing to do that. «Who takes responsibility if the river is ruined: the State or the prospectors? I’m so tired of this, because the situation is the same every summer. This is unacceptable,» Paltto snaps. The Sámi Parliament has plans to investigate whether it could claim damages for the adverse impact prospecting with machines has had on the natural environment. However, it is still unclear whether the compensation should be paid by the State or the prospectors.